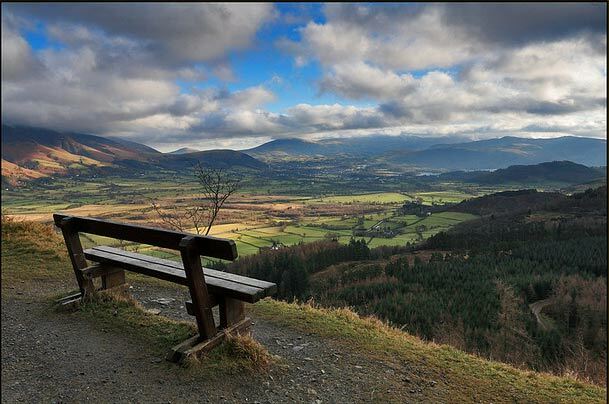 For the Lake District, Whinlatter pass is one of the more steady climbs. There is nothing super-steep. More than surrounding climbs, you can get into a good rhythm with a nice steady gradient. I rode Whinlatter pass in 2012. I set off from Windermere and had Kirkstone Pass, Honister Pass and Newlands pass in the legs before reaching the Braithwaite. After descending Whinlatter Pass I went down the West side of the Lake District and then back over Hardknott and Wrynose. It was roads rarely travelled, but quite a rewarding cycle with 3,000m of climbing.